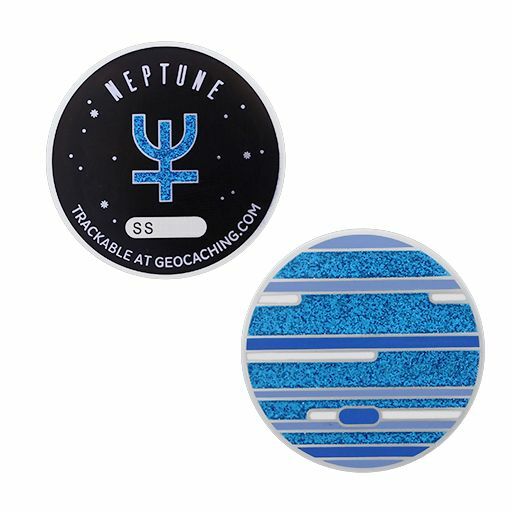 The Neptune Geocoin is approximately 1 5/8 inches in diameter. This coin features a unique Neptune scene on the front, and the astronomical symbol of Neptune on the back. Each solar system coin has a unique tracking code and is trackable at Geocaching.com with a unique icon.